Lots relating to explorer Matthew Flinders are particularly topical given that his grave has just been re-discovered in a graveyard under Euston station as part of works for the HS2 high-speed railway line. At a December 5 sale held in Melbourne by Peter Arnold (18% buyer’s premium), Aus$90,000 (£51,430) was bid for a set of three charts recording the discoveries of Flinders and George Bass during their 1798-99 coastal surveys of New South Wales. 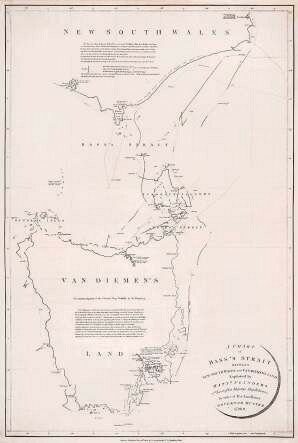 This was a voyage that established the fact that Tasmania was an island. Flinders’ book Observations on the coasts of Van Diemen’s Land... of 1801 is itself one of the great Australian rarities, but these equally rare charts, though produced at the same time, were issued separately. In 2014, as part of the Sotheby’s sale of the Franklin Brooke-Hitching library, an exceptionally rare first issue copy of the book with the charts bound in was bid to £240,000. Other highlights included a clean coloured issue of the 1789 first edition of Arthur Phillip’s account of his voyage to Botany Bay and the establishment of the ...Colonies of Port Jackson & Norfolk Island, at Aus$25,000 (£14,285), and a subscriber’s copy of John Hunter’s 1793 account of that Philip voyage. The latter, in a repaired but period binding and exceptionally clean, sold at Aus$15,000 (£8570). ‘Newcastle in New South Wales…’, a view drawn and engraved in 1812 by two transported convicts. It sold for Aus$15,500 (£8855). Sold at Aus$15,500 (£8855) was the engraved view of Newcastle in New South Wales shown above. 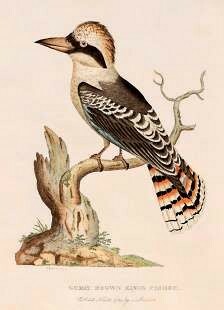 Published in 1812, it is based on a drawing by Richard Browne, who had arrived as a convict in the colony the previous year, and was engraved by a fellow prisoner, Walter Preston. The latter had on arrival been assigned to work for the publisher Absalom West, who in in the years 1812-14 issued a series of 24 topographical views, the first to appear in the colony. This view was No 6 in the series. Sold at a record Aus$18,000 (£10,285) was John Gould’s subscriber copy of Sir Walter Buller’s 1873 History of the Birds of New Zealand. It was a copy acquired at the 1881 London sale of Gould’s library by Arthur W Young, a lawyer and bibliophile whose magnificent library, including a Gutenberg Bible, was in large part left to Cambridge University Library in 1933. Among other natural history works, and another record-breaker at Aus$12,000 (£6855), was Fanny Detmole’s Wild Flowers of South Australia. One of 100 copies published in 1861, it sported a pictorially decorated green morocco gilt binding rather than the usual cloth version.